Sam Bielski is a graduate of the guitar program at the Atlanta Institute of Music and Media (AIMM) and has been playing guitar for 13 years. 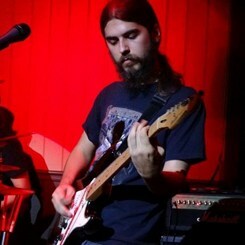 He has been teaching guitar for 6 years and has played professionally in several different bands since 2008. As a member of the bands "Once: A Tribute to Pearl Jam" and "Drain You: A Tribute to Nirvana," Sam has toured the Southeast, Northeast, Midwest, and the Caribbean islands. Sam believes that each student learns differently, and attempts to relate to each student using their own particular style or learning method. He has experience teaching all ages and can teach any style of music.